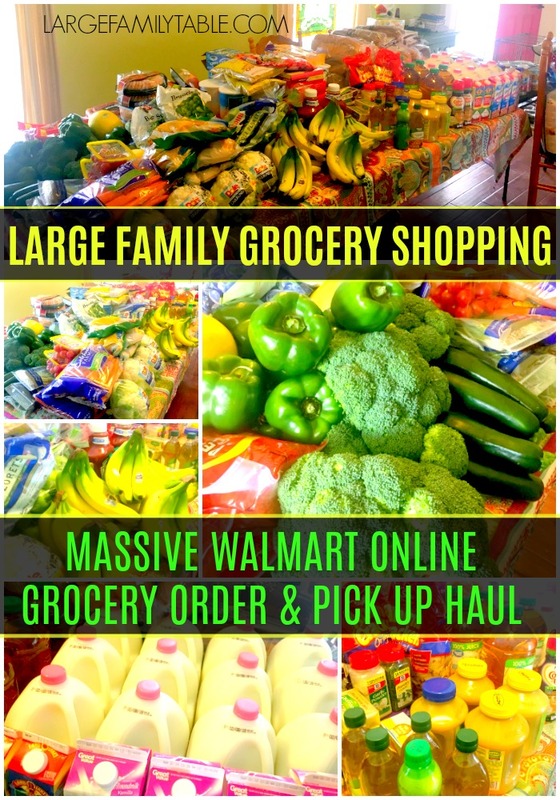 $1,200 MASSIVE WALMART ONLINE GROCERY ORDER & PICK UP HAUL | Large Family Grocery Shopping! 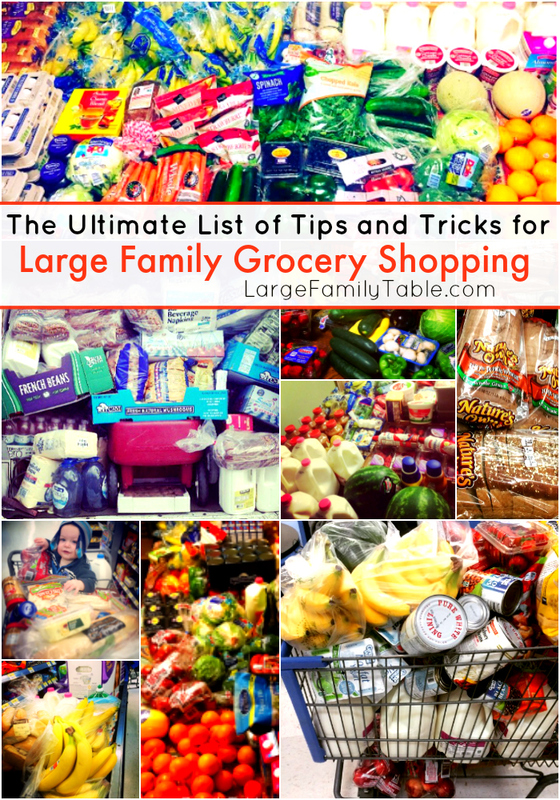 Today on YouTube I’m sharing my most recent large family grocery shopping haul. Last month we did a big Costco and Sharp Shopper haul. This month I sent Travis to pick up this massive Walmart online grocery order and pick-up haul. I’m not 100% loyal to any grocery store in particular. It’s all about what might possibly be most convenient for my large family mom life at the time. Amen and amen! $4.46 per person per day! The end numbers are a lot but stick with me here. We’ll break this all the way down to $4.46 per person per day. Our Walmart grocery pick-up order came in at $1206. That was $1,000 on food items and another $206 dollars on household items. 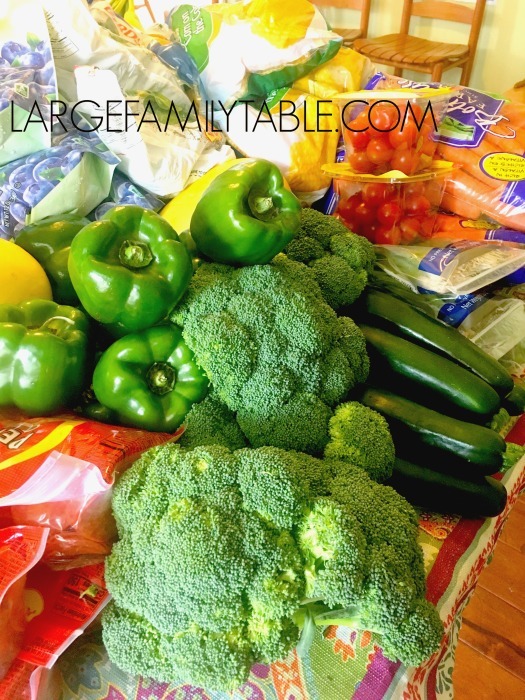 I shared our large family grocery budget in 2015 here which broke down to $800 for a big once-a-month grocery shopping trip, and $200 for an additional small haul for fill-ins. Plus we also had an additional $250 for household items (shampoo, diapers, TP, etc – you can see several of my large family household hauls here, too). For 2018, with 8 kiddos from infant through almost adults, plus my husband and myself being home full-time with 90 meals a month and 60+ snacks for our family of ten, we’ve had a grocery budget increase. I’m also back (yet again) to going for low carb/ sugar-free – with fear and trepidation I dare say Trim Healthy Mama-ish – for my husband and myself (kids get some pudding cups, yes :). 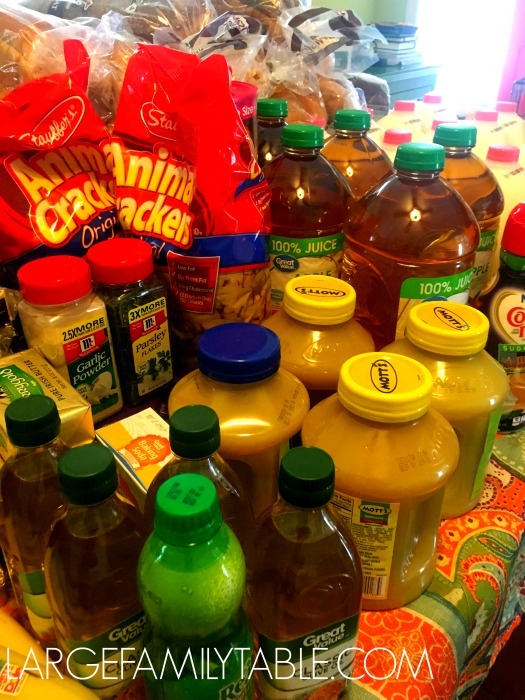 Our new large family budget totals for 2018 is $1,250 a month for groceries, which breaks down to $1,000 (up from $800) for a large once-a-month massive haul and a $250 fill-in haul for more milk, fruits, veggies, cheese, etc. 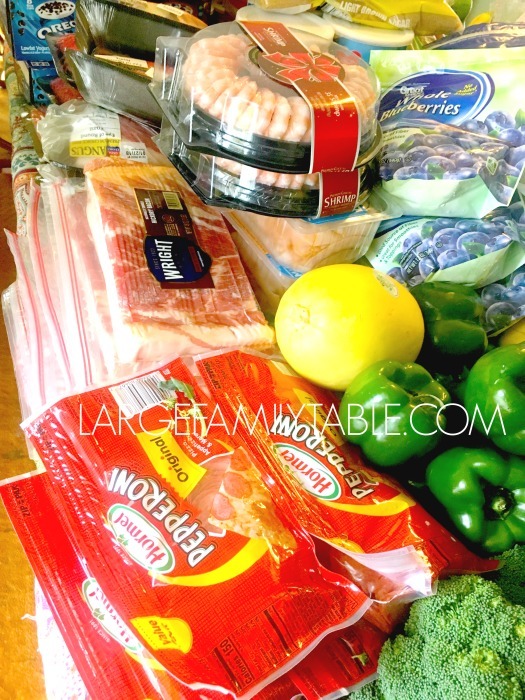 I will do a new updated large family grocery budget post. In the meantime that breaks down to $312.50 per week and broken down farther, that is $31.25 per family member each week. This is $4.46 per person per day! I have those categories separated – food and household – in our large family budget because it helps me keep my numbers and brains about me. However, to get this order in I pushed everything together for one massive haul. I shouldn’t have done that because it was 11 pm at night and it jammed up my bank card. 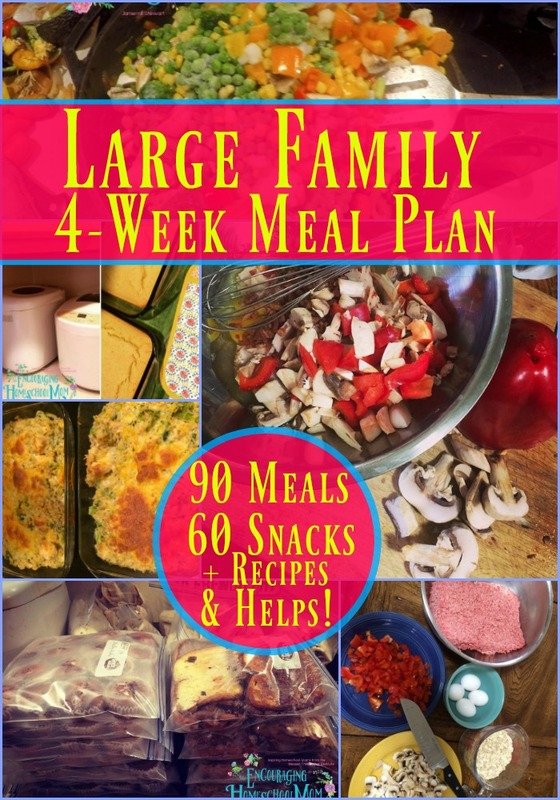 I had already worked on the order for several hours, including our large family meal plan. I didn’t want to take what I figured would be another hour to separate the massive order into two orders. This meant the following morning I had to wait for the bank to open to increase my bank card limit. 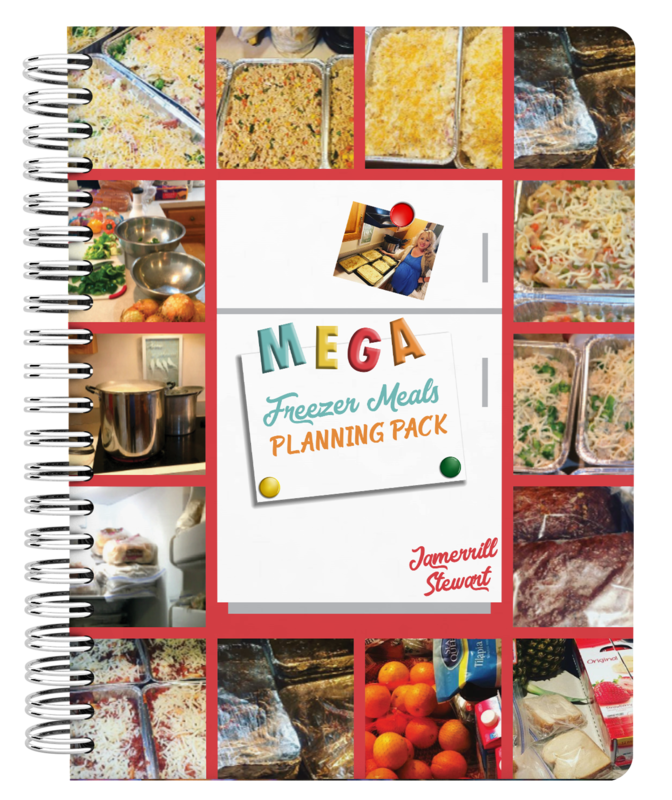 Also, don’t forget to pick up your FREE Mega Freezer Meals Planning pack! I also mentioned getting in a large family freezer meals day several times in today’s video. I tried and tried to get in a freezer cooking day. At first, I had planned to take a full Saturday. With my bank card/ordering jam up mentioned above, I couldn’t get the groceries picked up when I needed them to make that full day happen. Then we had homeschool stuff. And you know how once large family life gets rolling for another week it’s hard for momma to get in something like an entire freezer cooking day, sigh. I had one last time block that would’ve worked. It was on Tuesday. I was going to get in about a 4 hour freezer cooking season – better than nothing I thought – ONLY TO HAVE THE POWER GO OUT FOR THAT EXACT FOUR HOURS ??? I KID YOU NOT! I tell you, large family mom life sagas, haha! So, there will be no freezer cooking days with this haul after all. I gave up after all those attempts. I am however vlogging several easy slow cooker meals over these next few weeks to add to the large family recipes, so there’s that. And Travis is still cooking most of our dinners – yay! Somewhere in my haul order we also go about 20 lbs of bananas. I know we bought them. I know they’re in the video today, just can’t find them at the moment on my online Walmart receipt, haha! 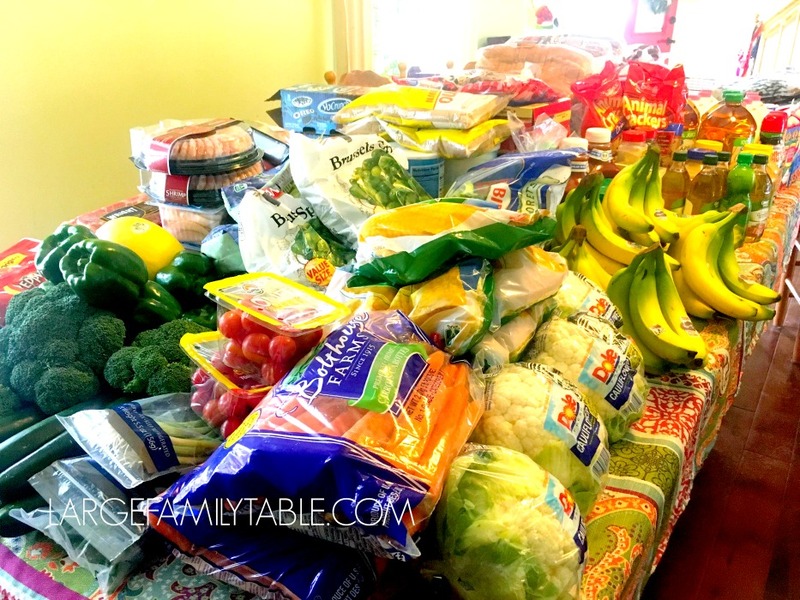 $1,200 MASSIVE WALMART ONLINE GROCERY ORDER & PICK-UP HAUL | Large Family Grocery Shopping! Click here to watch the full $1,200 MASSIVE WALMART ONLINE GROCERY ORDER & PICK UP HAUL | Large Family Grocery Shopping vlog on YouTube! Find much more in My Kitchen. We’re a family of 10 and I find our biggest problem is spoilage. I would LOVE to only go once a month but the produce for the most part doesn’t make it past one week due to rot or decay. Do I just switch to frozen or canned? Or do these things fall under the fill-in portion of the monthly haul? You must have multiple refrigerators 🙂 We can barely fit our groceries for 12 for one week in our frig! We have started doing grocery shopping once a week for 3 weeks, then using up everything in the house for the last week before payday. We do Aldi for everything except a few things that my kids run down the street and get from our local grocery store 🙂 They picked up parsnips this week!!! I love living in a small town that is near a city big enough to have Aldi!!! How do you get your produce to last? I often struggle with things spoiling the first week. The bananas, berries, and grapes (when I get those) are eaten the first week. The 2nd and 3rd week the apples and oranges are eaten. Carrots, celery, broccoli, cauliflower, and even lettuce will last several weeks, in my experience. I was a little surprised that you buy yogurt and pudding rather than make them or have a kid make them. Is it for the convenience of having the cups as easy snacks? I don’t buy the pudding cups to keep on hand. Those are just as a special treat, and yes, for convenience – then they’re gone. As far as the yogurt, I again do easiest for me at the time. I can make it in the slow cooker or Instant Pot. I’m a little different in that not only am I a mom of many but also run a full-time business. So many times I just buy yogurt, ha!